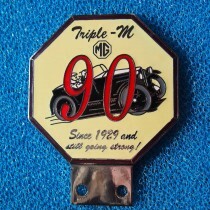 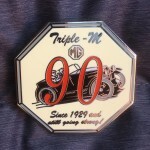 To celebrate 90 Years since the production of the 1st Triple-M car, the M Type Midget. 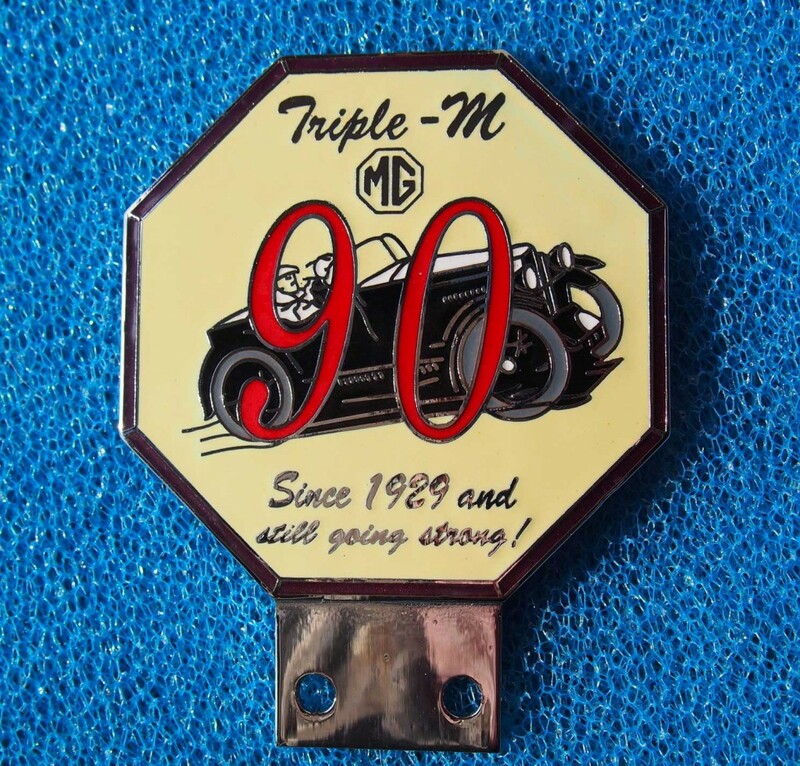 Measuring 3" across in coloured enamel, the Black Midget is finely detailed with chrome, white and grey on a cream background, finished with a purple rim and 90 in red. 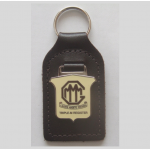 This badge can also be ordered using credit card details, contact the Librarian for details.